Note: This is the bound book only and does not include access to the Enhanced Pearson eText. To order the Enhanced Pearson eText packaged with a bound book, use ISBN 0133785645. 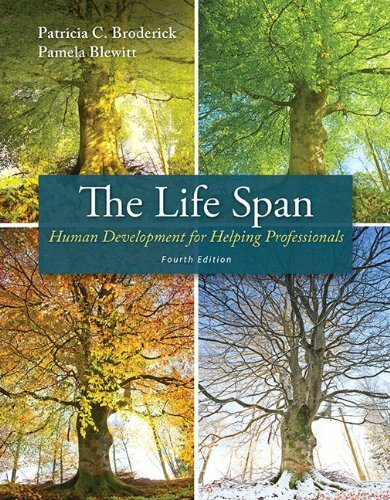 The Life Span: Human Development for Helping Professionals, 4/e, provides an in-depth look at the science of human development,highlighting theories and research that have useful applications for individuals working in fields such as education, counseling, and social work.The main purpose of this book is to provide the reader with information that can be translated into professional “best practice” applications.Throughout,the text reflects the contemporary view that life span development is a process deeply embedded within and inseparable from the context of family, social network, and culture. Because the book is designed for graduate students, most topics, especially those that have special relevance to helping professionals, are covered in greater depth than in a typical life span text. The expanded coverage of research in these areas will enhance students’ understanding of the scientific basis for application to practice.The Enhanced Pearson eText features embedded video to illustrate key concepts and pop-up assessments to help students assess their proficiency. Engaging.The new interactive, multimedia learning features were developed by the authors and other subject-matter experts to deepen and enrich the learning experience. Affordable.TheEnhanced PearsoneText may be purchased stand-alone or with a loose-leaf version of the text for 40-65% less than a print bound book.